I grew up harvesting cherries from a cherry orchard, vegetables from my parents, grandparent’s gardens. Abundance was shared. We gave and neighbors brought and shared what they grew, raised. There was a bounty from nature, wild and cultivated that permeated my childhood. This is the story woven into Harvest of the Heart . 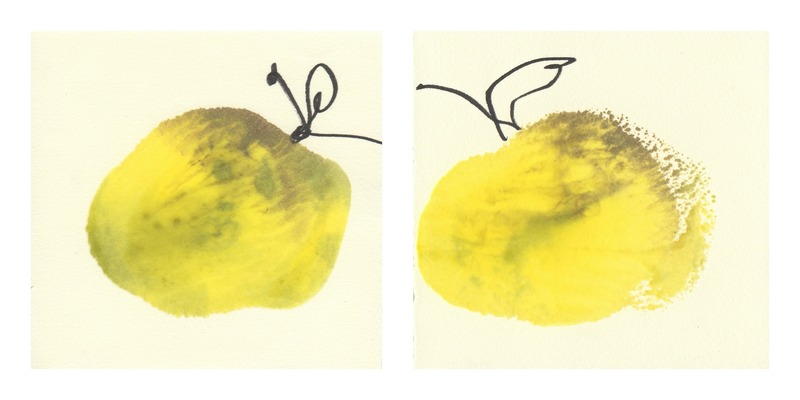 It is a body of works that evokes abundance, ripeness and my experiences growing up in France. These are available through The Island Gallery on Bainbridge Island. This is the story of an encounter that led me on a creative journey across time and different art media. It is an encounter that took pace in Zacatecas, Zac. Mexico. In the midst of the ruins of Ex-convento San Francisco, now Museo Rafael Coronel, stood before me this majestic agave plant. It was large, full of life. I was struck by its presence, its vitality. This is the starting point for Exploring! . I followed this thread of inspiration through different media. 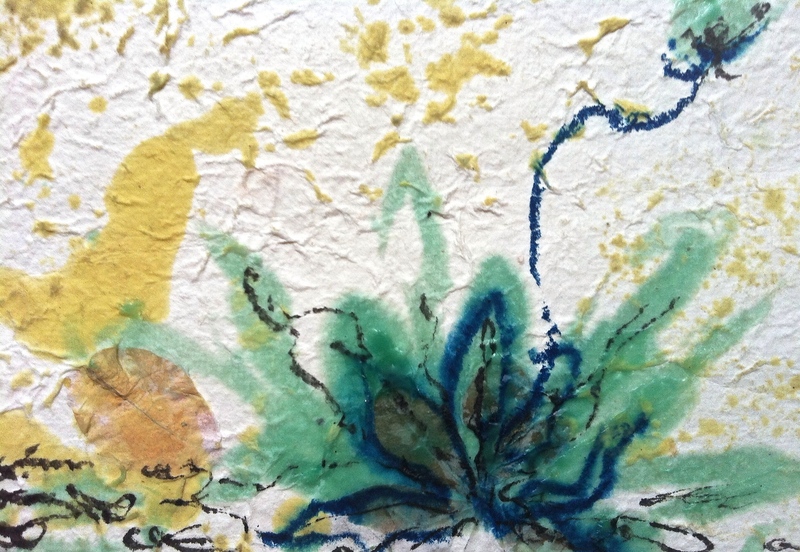 I explored form and feeling printing, painting, stitching on papers of various kinds, with encaustic, ink, fibers. It is a body of work that represents my delight in exploring, tool in hand, heart open. Into The Horizon is body of work where exploration both personal and artistic takes place. This is a series where the fluidity of encaustic, partnered with paper for making a monotype, a single print, is highlighted. As the encaustic paint, spread across the warm plate, the vastness of land and sea emerge . I enjoy this close relationship with my material, where it is my partner and guide. Where it flows, I follow. It is a process that allowed me to connect to horizons new to me, to get to know them better. 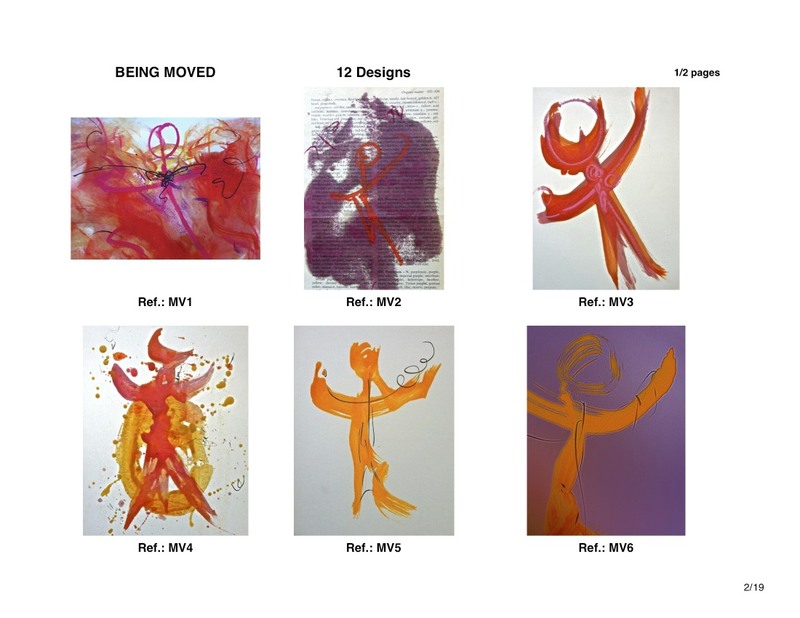 I have found through my practice of Qigong, fluidity of movement, expressiveness. 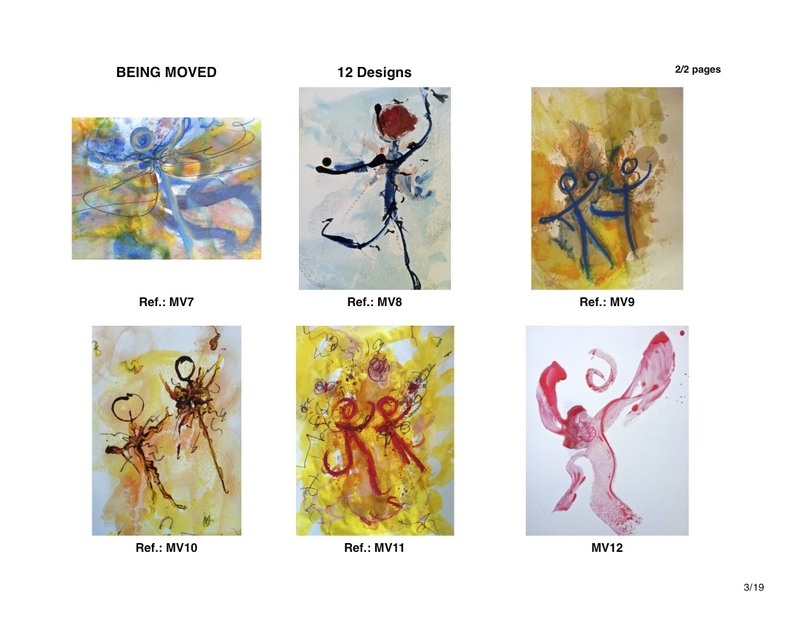 Being Moved is a series of figures in motion. They feel very connected to my sense of feeling alive and being moved, in many ways. Encaustic and brush work are natural choices for this body of work. All I could do at the beginning was to hold the clay, cupped in both hands. Holding it was my way of getting to know this new material. I took my time holding the clay between my hands. It felt like a quiet, peaceful meditation. Clay in my hands, I listened, stayed with not knowing what to do, and then it came. I knew what to do. 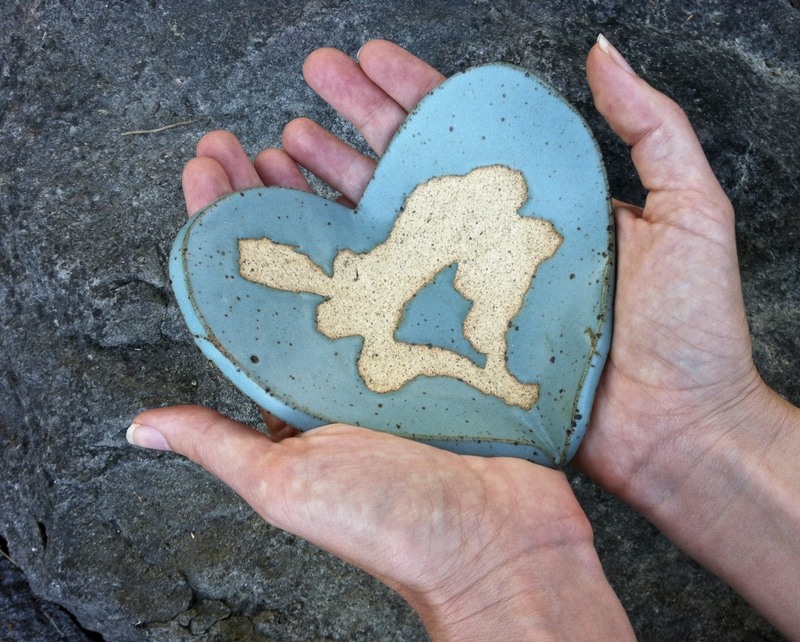 The feeling the clay resting in my hands, following their contours in a heart shape, is what spoke to me, what made my heart smile. 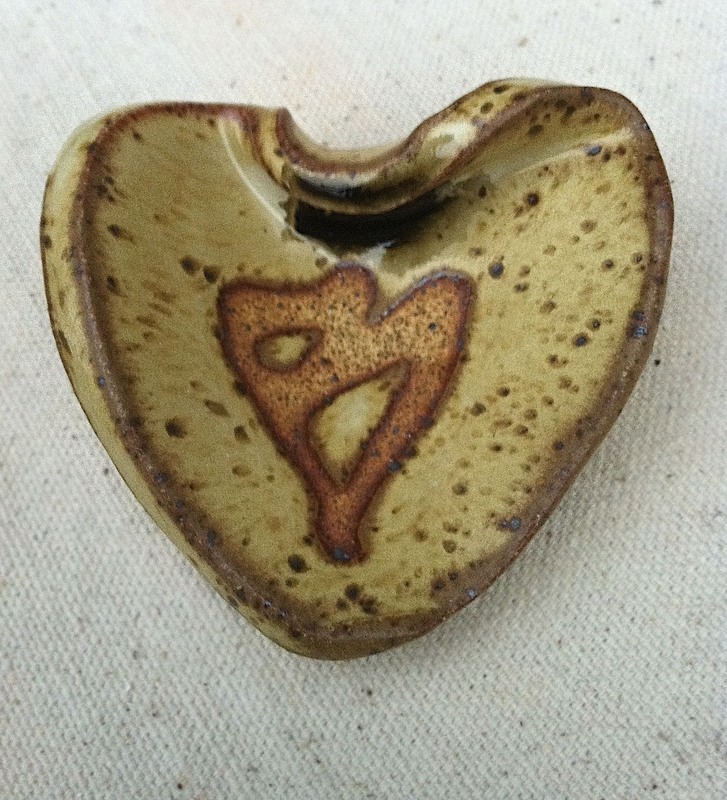 To purchase a one of a kind, handmade ceramic heart, email me at kchaussabel@gmail.com. For fresh from the kiln inspirations, check my FB Page www.facebook.com/CradledHearts and view the entire collection on this online gallery !